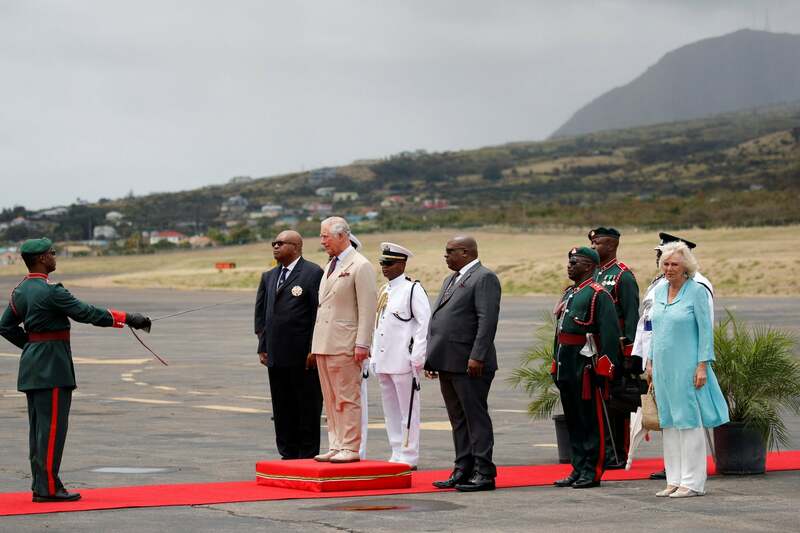 Prince Charles and Camilla received a warm welcome when they touched down on the Caribbean island of St. Kitts today. The Prince of Wales and his wife The Duchess of Cornwall were greeted by a guard of honour after their RAF state plane touched down. 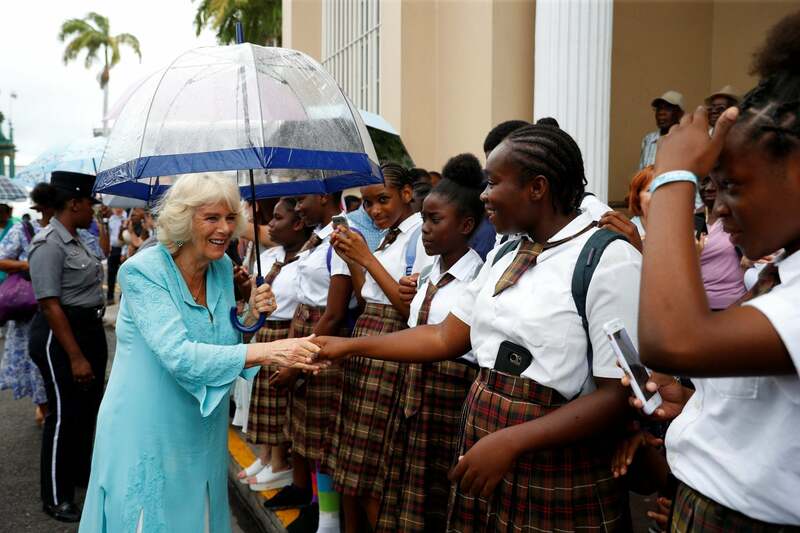 The couple, who are on a 12-day Caribbean tour, began the latest leg with a handshake from the Queen’s representative, Governor General Sir Samuel Weymouth Tapley Seaton. Following tradition, the heir to the throne inspected the waiting troops passing along their lines in the shadow of the grey RAF Voyager. Later, Charles will launch a project to give Commonwealth students the chance to study subjects at Cambridge University he has “deeply” cared about for decades.. Scholarships under Charles’ name will be offered in global issues he has championed like climate change, sustainability and the blue economy to mark the 70th anniversary of the family of nations and the Prince turning 70 last year. Charles will make the announcement at a reception hosted in honour of the royal couple by the Governor General. 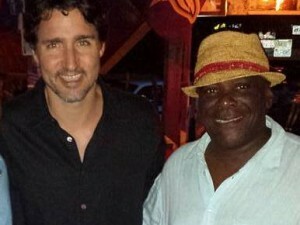 Before heading off to the capital Basseterre Timothy Harris, the prime minister of St Kitts and Nevis, introduced the couple to his cabinet. Yesterday, the couple visited Barbados,with Prince Charles meeting Lionel Richie and Tom Jones. 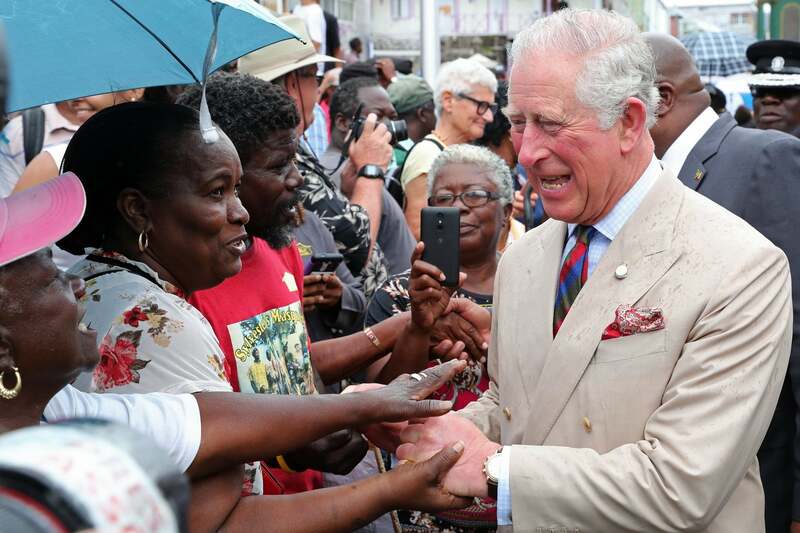 At a welcoming parade in St. Lucia on Sunday, the Prince said the Commonwealth is “vital” to the health of the world and the future of humanity. The future head of the Commonwealth said it had been the “cornerstone” of his life and he said he believes it plays a crucial role bringing “us together” to “address common challenges” like the serious threat of climate change.